Purple Needle GrassPerennial grass. California native. 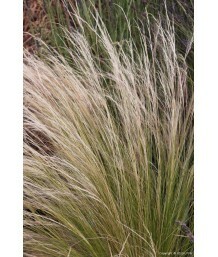 Foliage is bright green up close but appears ..
Mexican Feather GrassPerennial grass. Native to Texas, New Mexico, and Mexico. Very fine textured gr..